Improvement in biochemical and structural techniques has provided the capability to characterize receptors and, more importantly, the other cellular bodies with whom they interact. There are two fundamental discoveries that led to our current model of receptor function, namely receptor allosterism and membrane protein translocation (the "mobile receptor hypothesis" ). Allo-sterism was first described for ion channels [22, 23] and enzymes  and was subsequently applied to receptors [25-27] . The application of the idea that ligands can specifically bias protein conformation through selective binding (conformational selection [ gives a molecular basis for the concept of agonist efficacy (and actually, all allosteric modulation of receptors). Equation 23 predicts that if the ligand has an equal affinity for both the R and R* states (a = 1) then pjp0 will equal unity, and no change in the proportion of R* will result from maximal ligand binding. However, if a > 1, then the presence of the conformationally selective ligand will cause the ratio pjp0 to be >1, and the R* state will be enriched by the presence of the ligand. R* is a completely new conformation of the receptor which could be more or less sensitive to the endogenous agonist or could signal in its own right (be an agonist). The fact that 7TM receptors are designed to be allosteric in nature (bind small molecule hormones or neurotransmitters in one region of the receptor to cause a change in shape to affect a protein-protein interaction in another part of the receptor) may make 7TM receptors especially prone to allosteric effects by other small molecules. The other major idea that changed the way in which we view 7TM receptors is the discovery that they float in the lipid membrane and can associate with other membrane-bound proteins to become different species  , This confers two special properties on receptors that provide for maximal signal control. The first is that the relative stoichiometries of receptors and inter-actants can be used by the cell for fine-tuning of signal magnitude and cell sensitivity. The second is that it allows the receptor to function in a much more complicated mode than a simple on-off switch. 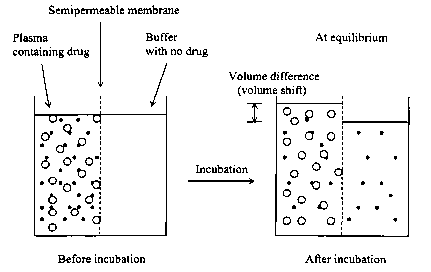 In a hard-wired mode whereby the activated receptor is mandatorily linked to a single response element, receptor activation is binary in that excitation either is or is not imparted to the cell. In a floating disconnected mode, the receptor can link to a range of couplers giving it the capability to discern which response element it activates in response to which initial stimulus it receives. In short, it becomes a microprocessor.